In No Friends by Philip Mckay a group of umbrellas crowded into a pyramid shaped group huddles under a gray sky. 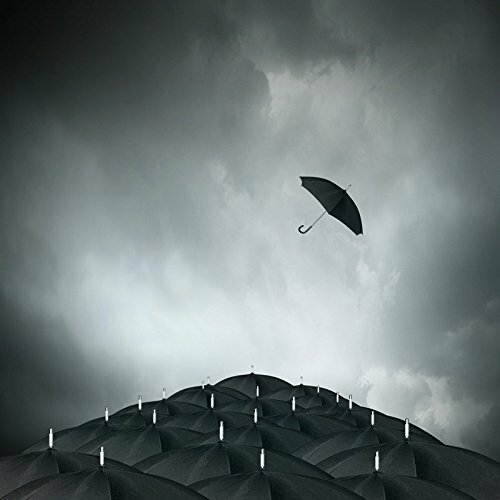 One lonely umbrella is flying away, hinting at the person who must lie below, vulnerable to the storm. This original art is composed in elegant black and white photography.